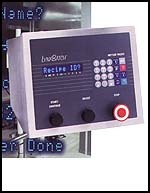 The LynxBatch Controller is a simple-to-operate batching controller that meets your level of factory automation. A flexible design allows you to enhance its capabilities as your needs expand in the future. 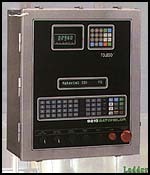 Toledo's 9215 Batchelor gives you a powerful, yet inexpensive way to quickly, accurately, and automatically control your batching operation... for virtually any weight batching application. The 9215 controls feeding of up to 16 materials into a Weigh Hopper. In addition to accurately feeding to weight setpoints, batching control interlocks provide reliable consistent batch sequencing. 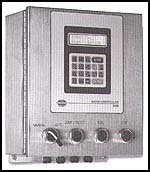 The Fairbanks 5400 Batch Controller is a cost-effective, fast and accurate automatic batch controller capable of dual scale control of multi-ingredient batching. 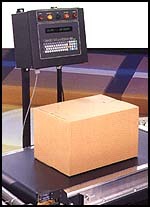 Mettler Toledo provides in-motion checkweighing solutions from the ground up. Your box and package handling needs can be met through flexibility designed systems you can configure to suit your specific line requirements. Experienced Mettler Toledo engineers started over... completely redesigning lighter, faster and more versatile components. You can build a powerful system providing controls of your operation in several important ways.